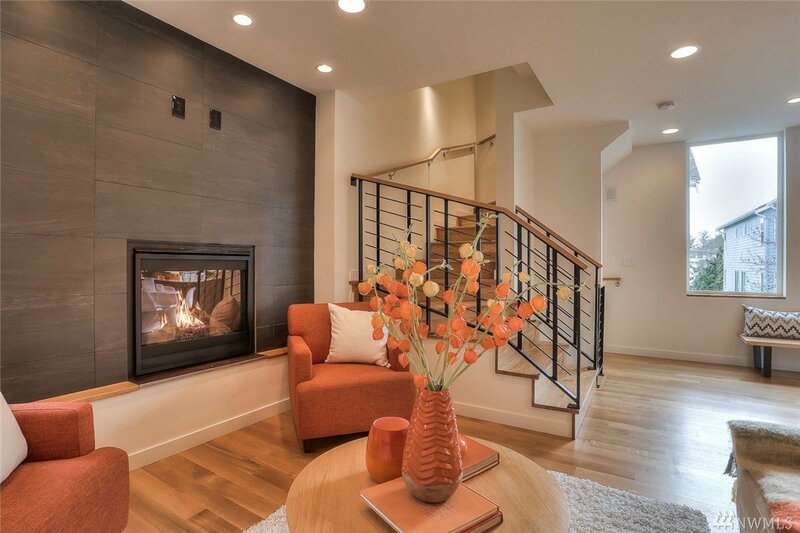 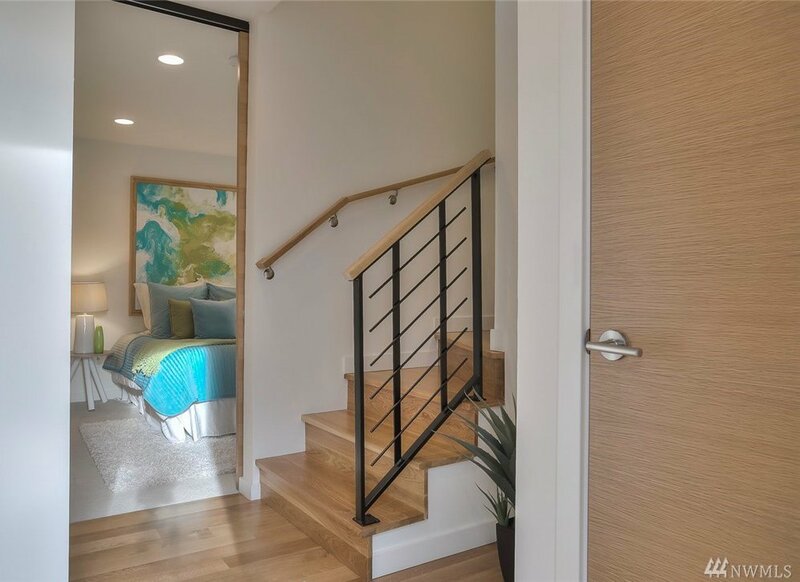 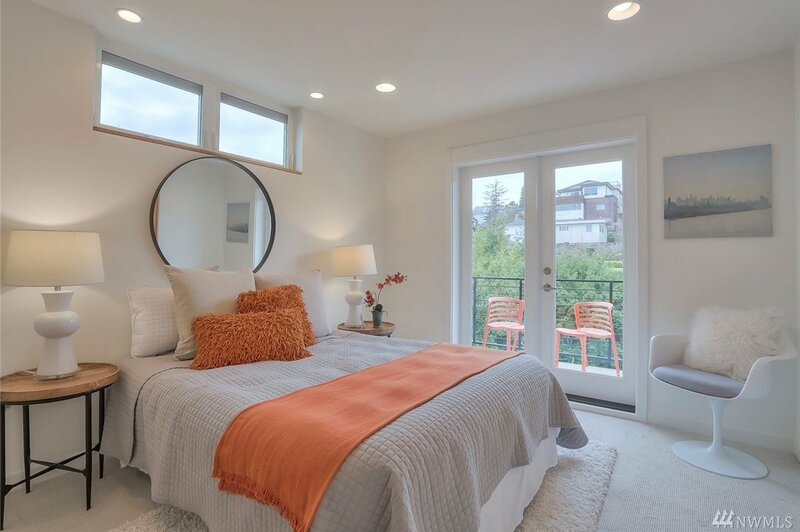 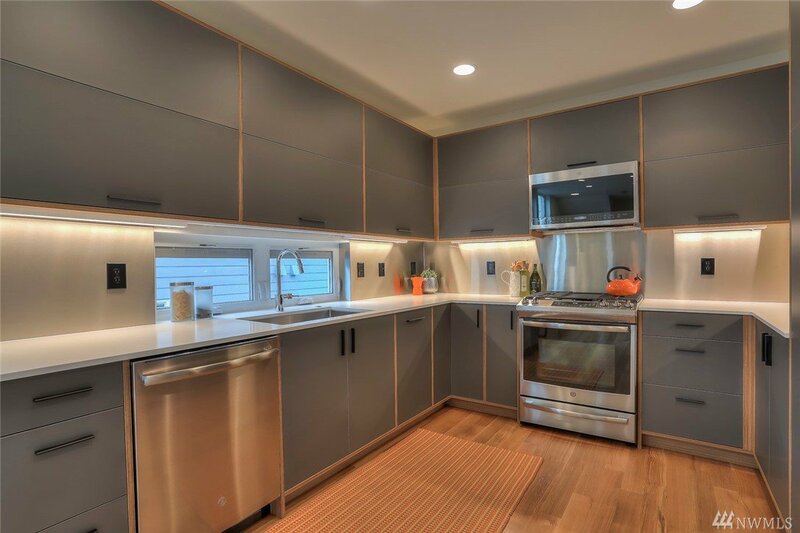 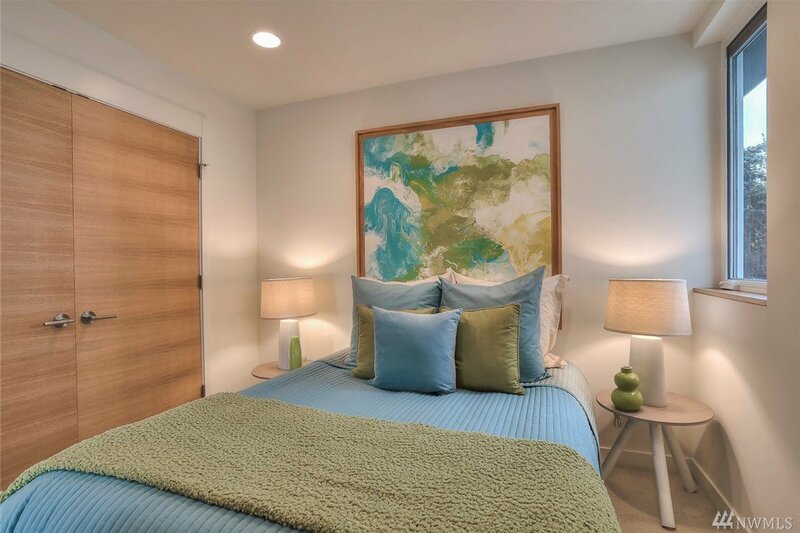 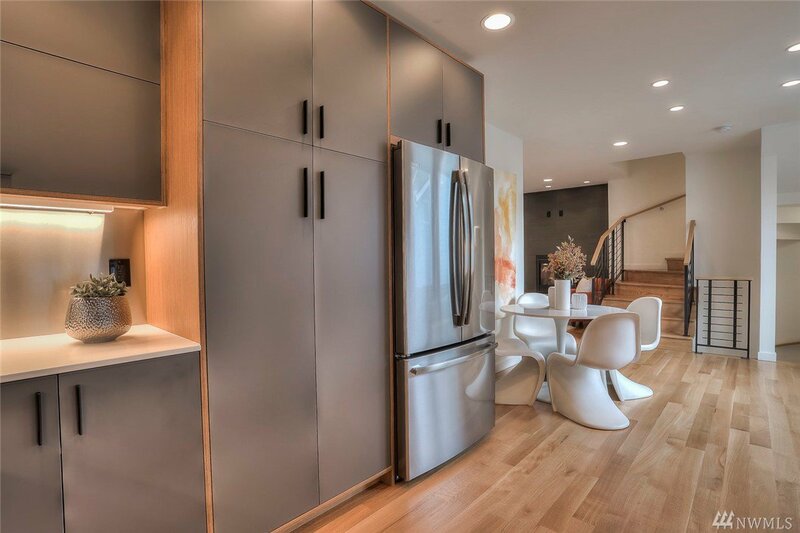 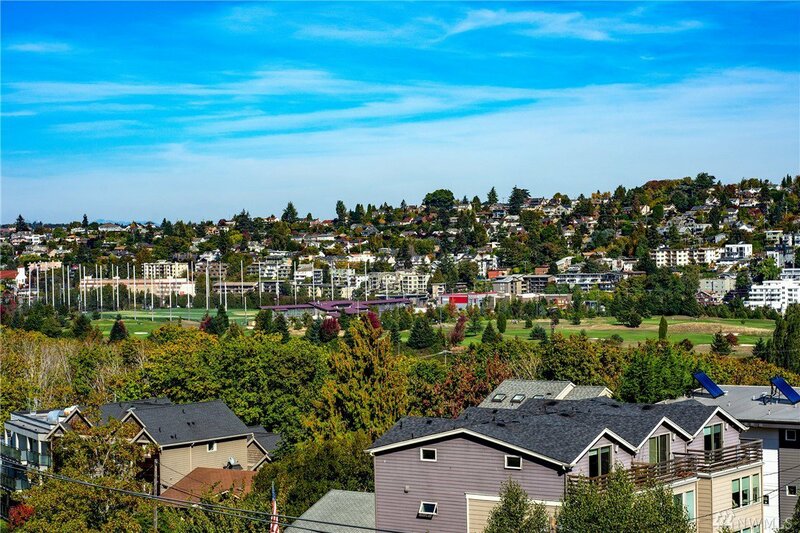 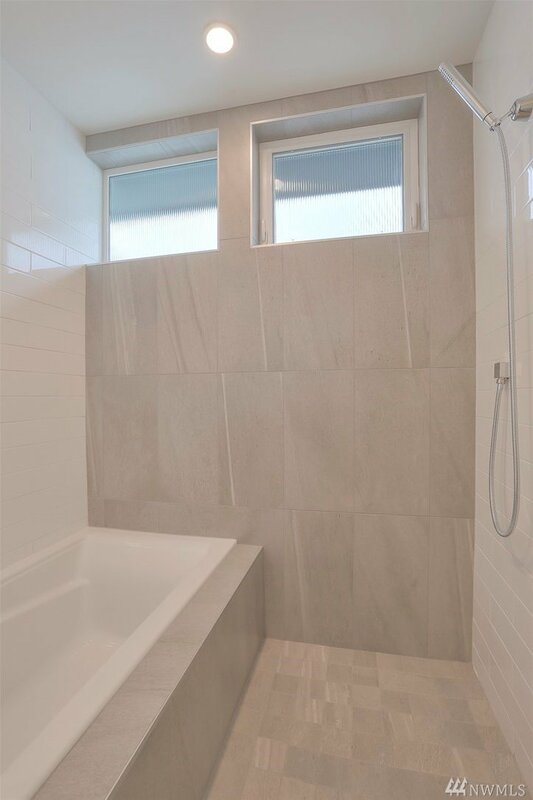 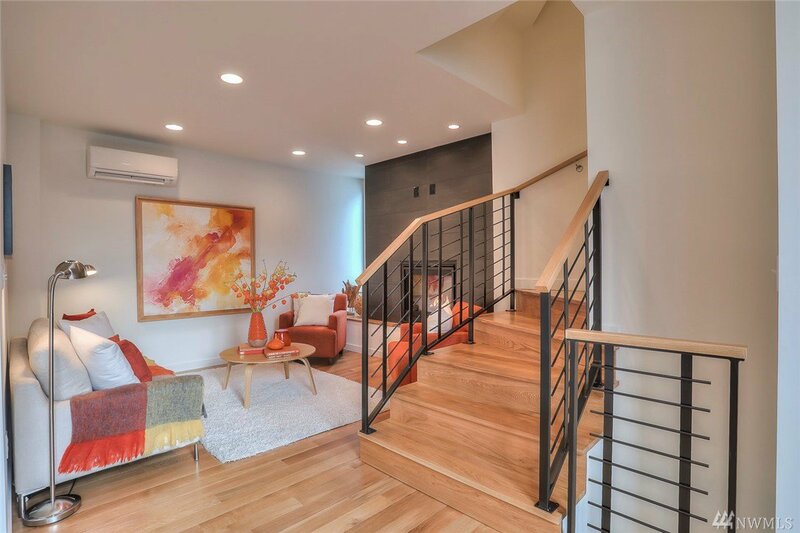 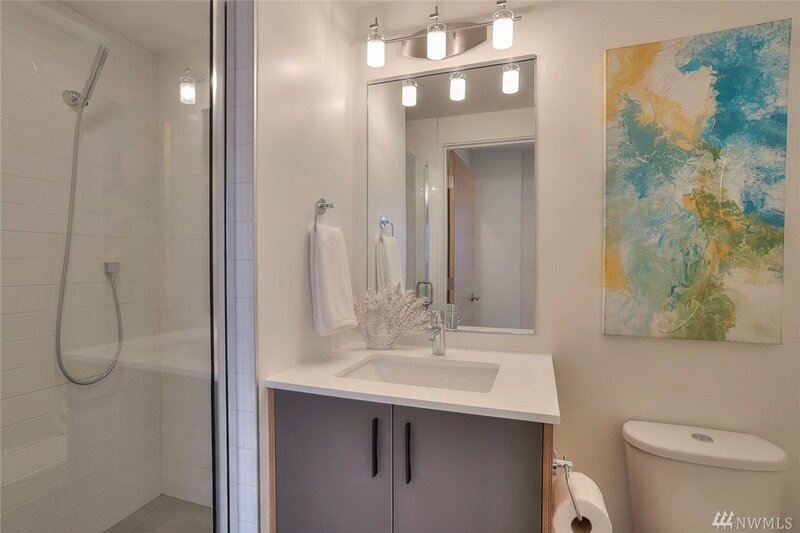 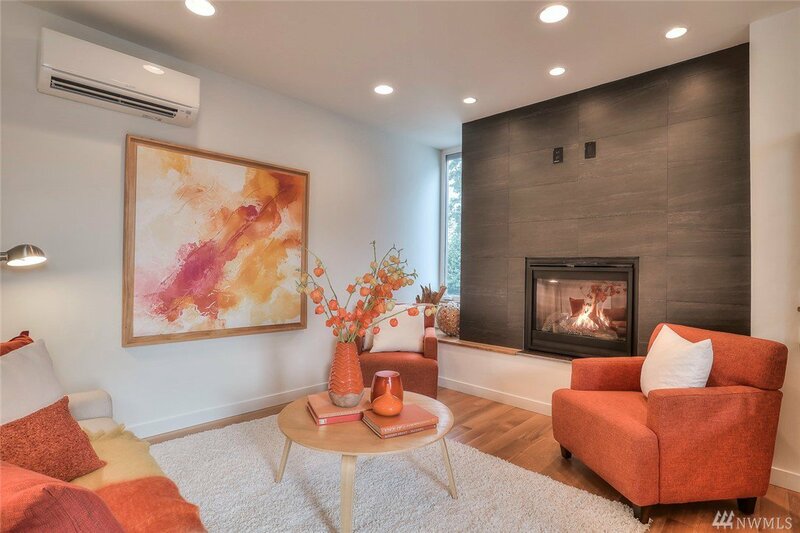 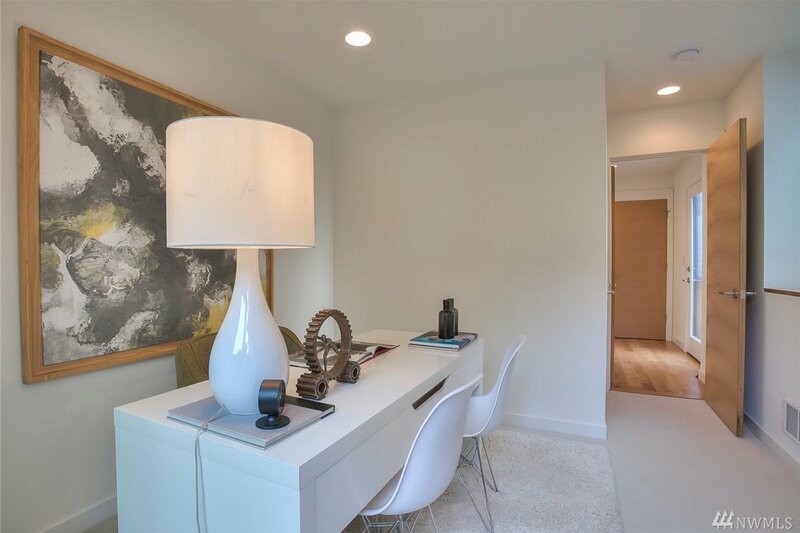 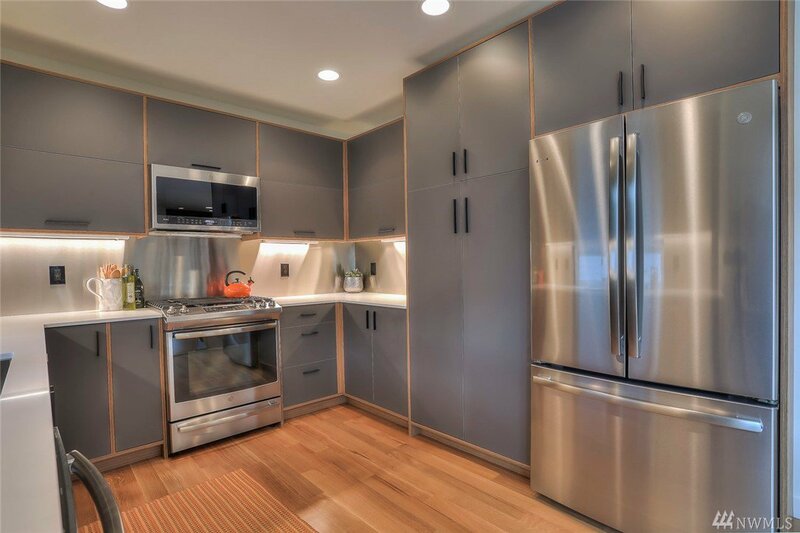 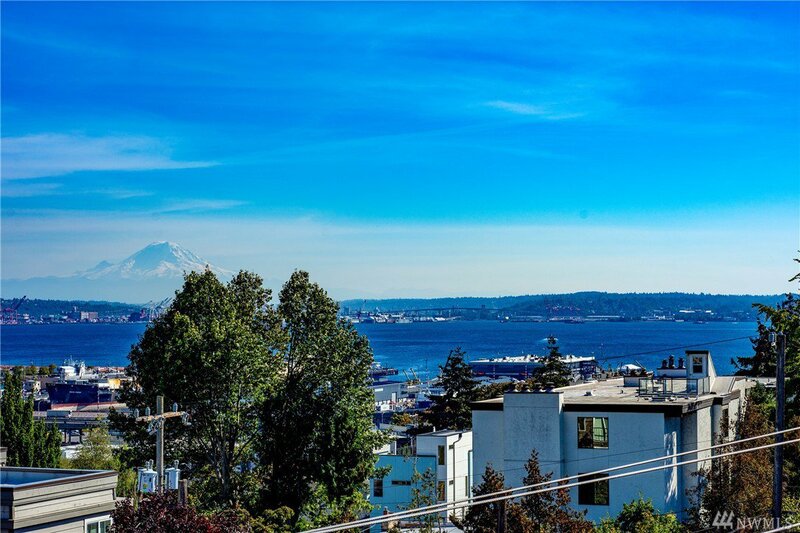 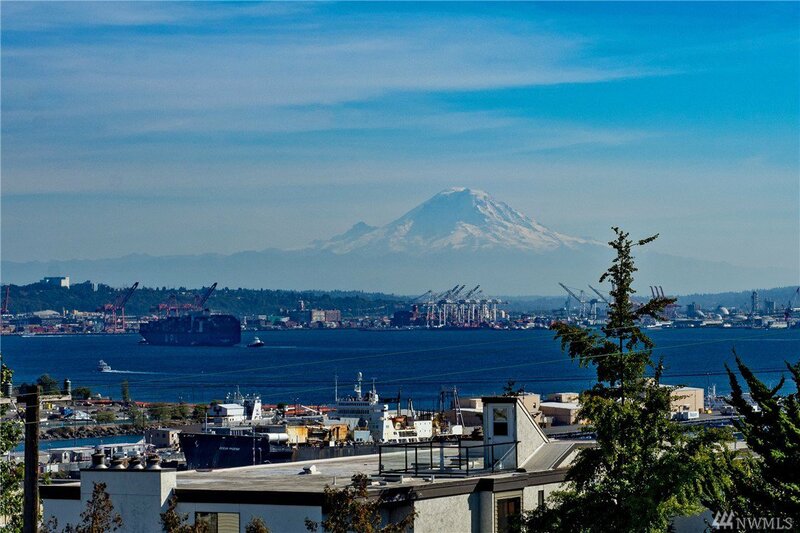 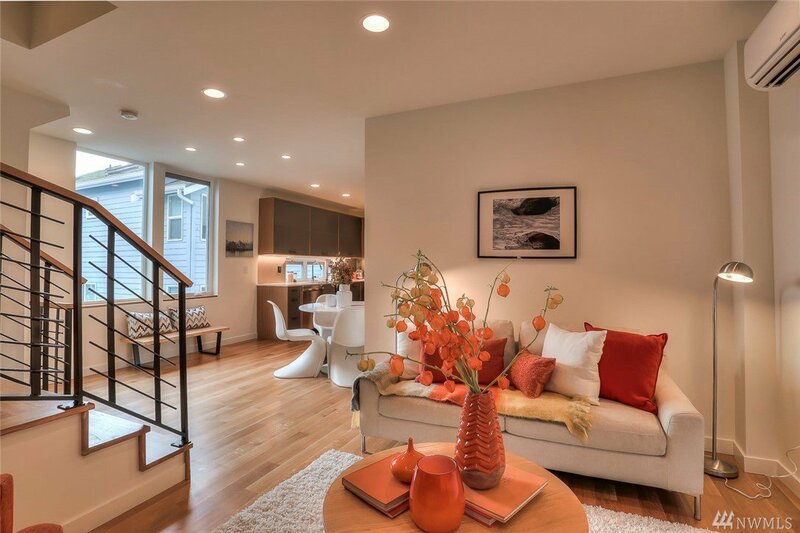 New Plush Modern Townhome With City Skyline, Elliott Bay & Mt. 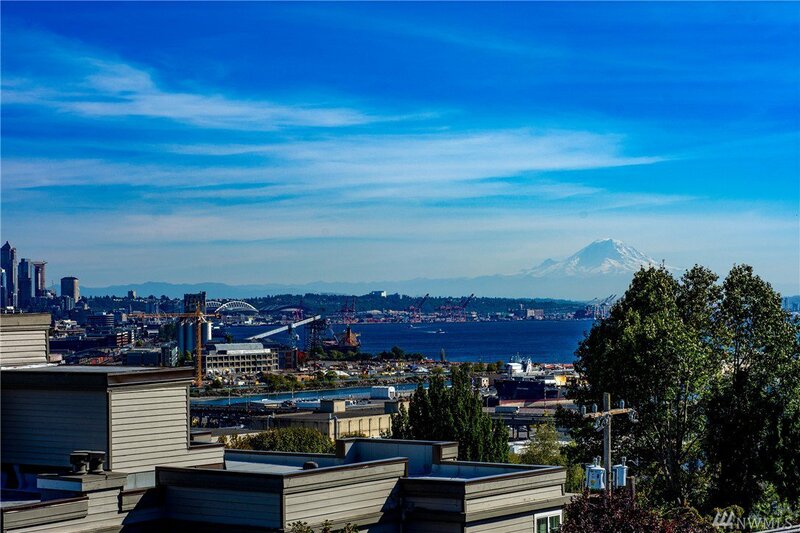 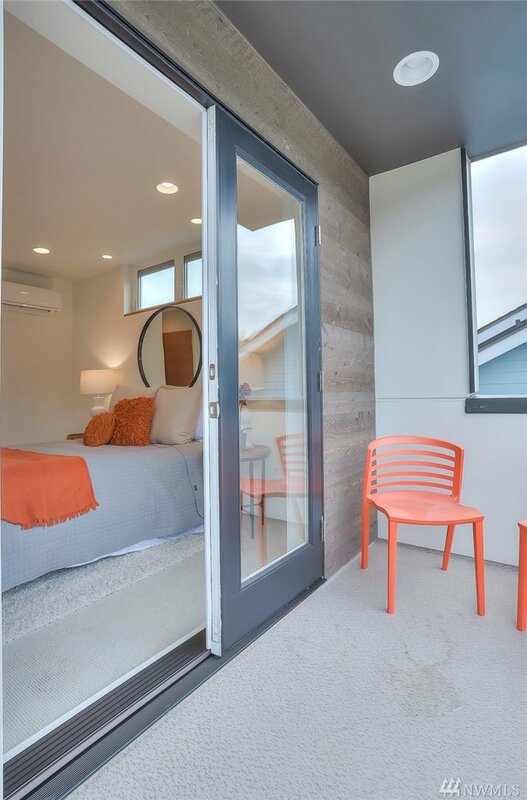 Rainier Vistas from Peeler Construction LLC. 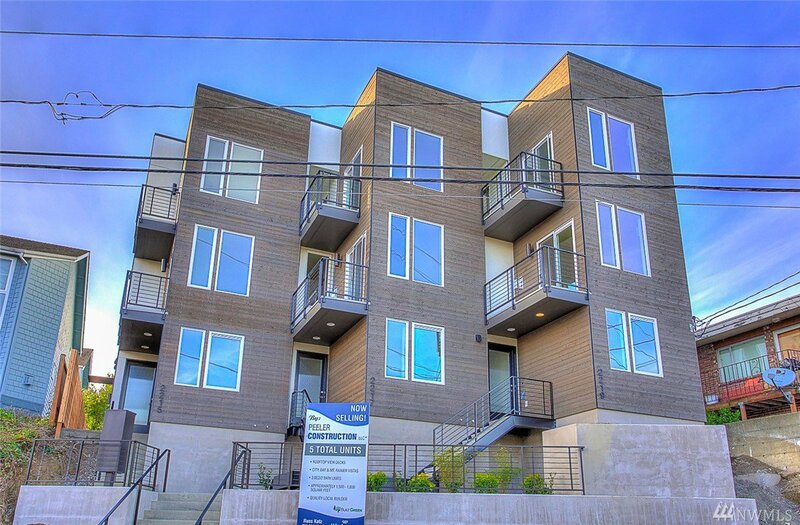 Outstanding quality here & certified 4-Star Built Green. 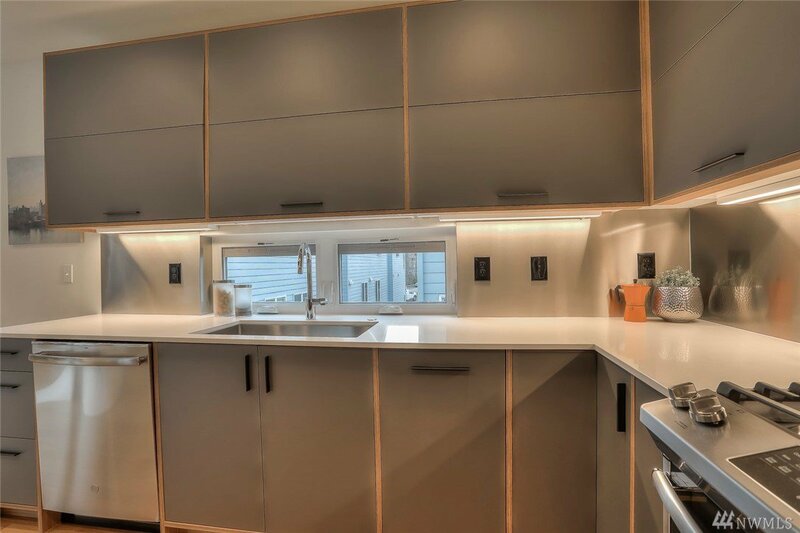 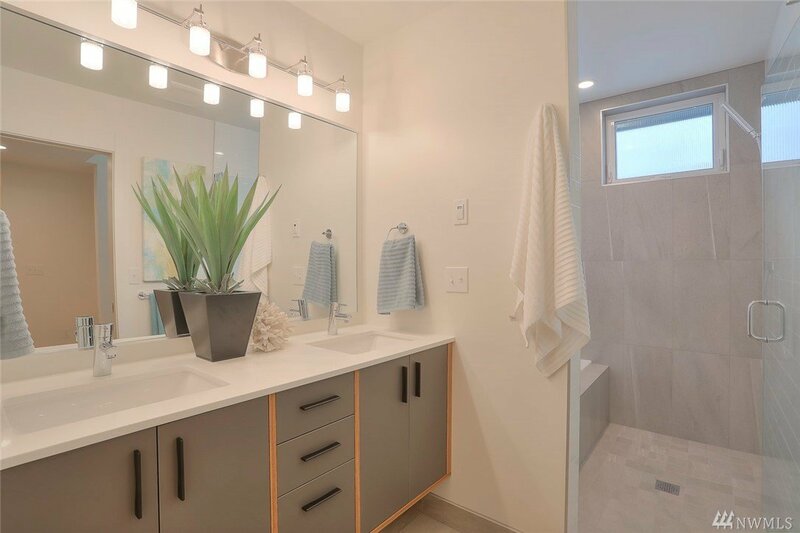 Full bodied rift-sawn oak hardwoods, custom Belmont kitchen cabinetry with stainless-steel backsplash, designer lights, gas fireplace & Master has tub/shower combo. 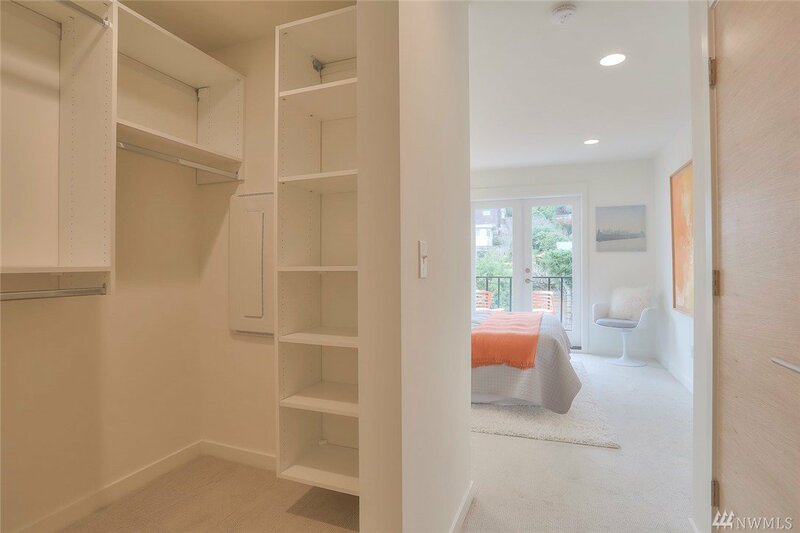 This is the South unit, great floor plan to maximize the premier views & large Master with more closet space. 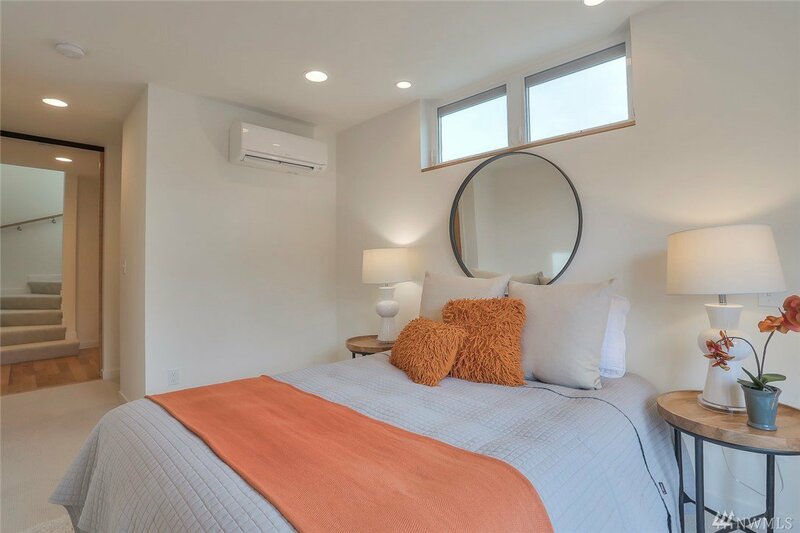 Extra insulated so no echoing & just minutes to downtown!